Is it possible to trigger a download by clicking a Submit button? I know that we can link to a file for downloading by choosing it as a custom "thank you" page, but what I would love to be able to do is to take the visitor to a "real" thank you page and initiate a file download at the same time, by clicking a "Submit" button. 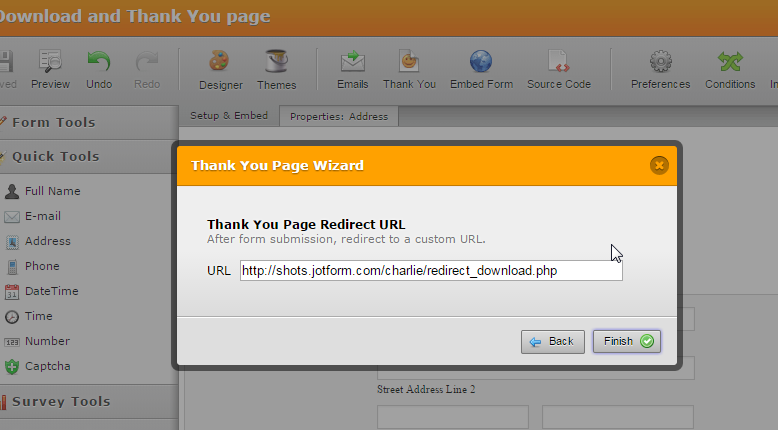 Here's a guide on that: https://www.jotform.com/help/89-Create-a-Custom-Thank-you-page-with-Auto-redirect. But this is more of a redirect. Here's a quick guide on how to have a thank you page and have a download redirect. 1. Here's the code for the thank you page url. 2. I then added it on a thank you page url. 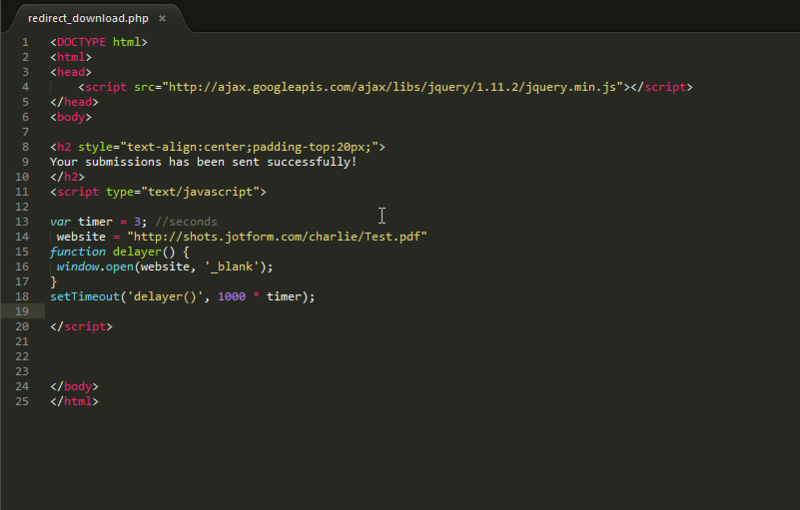 You can further advance this process but we'll need to further our coding skills. Do you want to directly download the file without our browser blocking it as a pop-up? I hope this helps or at least gives you an idea on how to proceed. Let us know if you need more assistance.